Order in the next 708 and get it tomorrow! 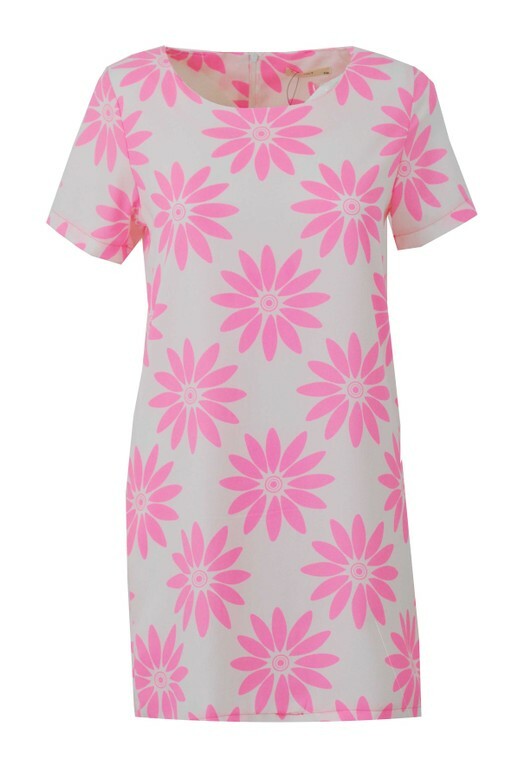 Get ready for the summer and the festival season in our neon pink and white flower shift dress. Short sleeved, zip to the back.